An Elf musical is coming to Dublin this Christmas. The hit West End and Broadway show based on the Hollywood blockbuster movie starring Will Ferrell be performed at 3Arena on December 28th and 29th. Tickets for Elf - A Christmas Spectacular go on sale next Thursday, April 11th at 9am via Ticketmaster. Watch the trailer here. The show will star award-winning Coronation Street actress and singer Kym Marsh as Buddy the Elf’s girlfriend, Jovie, and Shaun Williamson (Barry Evans in EastEnders, Extras) as Buddy’s dad Walter Hobbs. 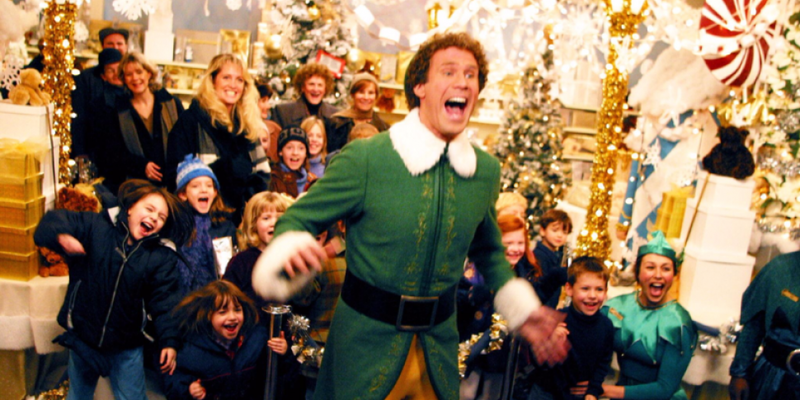 Reprising his role as Buddy the Elf will be comedy actor Tam Ryan. The cast also features Father Christmas and a line-up of 70 performers. ✨ELF, the hit West End and Broadway musical based on the Hollywood blockbuster movie starring Will Ferrell, is to be supersized into a Christmas spectacular which will play @3arenadublin this December. Don’t miss this Christmas spectacular on 28 & 29 December 2019.✨ Tickets go on sale this Thursday 11 April at 9am from Ticketmaster. The original stage version of Elf played to record breaking audiences in 2015/2016 at London’s Dominion Theatre. Elf tells the heart-warming tale of Buddy the Elf leaving Santa at the North Pole to seek his real father in New York.